Looking to buy goats for your farm? If you've never purchased livestock, you will want to learn as much as you can about raising goats before you head to a potential breeder for a look at the animals. Then when you inspect the goat and their farm, you'll have some idea of what you're looking for. These tips will get you started with what to consider when buying your first goat herd. How Many Goats Should You Buy? The first question to answer is how many goats you'll want to start with. Most goat farmers recommend starting with fewer animals than you want to end up with so that you can learn how to take care of them without the pressures of a larger herd. You will need a minimum of two goats since they are social animals who will be lonely by themselves. You can also choose only wethers or does. Don't start by getting a buck unless you're really sure you need one. Another question to ask is how much space you have for your goats. If you have acres and acres of range (woods, pasture, etc.) for them, great. You need 10 to 15 square feet per goat indoors for sleeping space. If not, you'll need about 20 square feet per goat for sleeping space and 30 square feet for exercise (ideally, this would be outdoors). Size. If you are an urban dweller or have a small homestead, you may want to choose a miniature breed. Horns. Horns can hurt other goats, people, and property. Find out if the breed you're considering is kept horned. Registered or not. 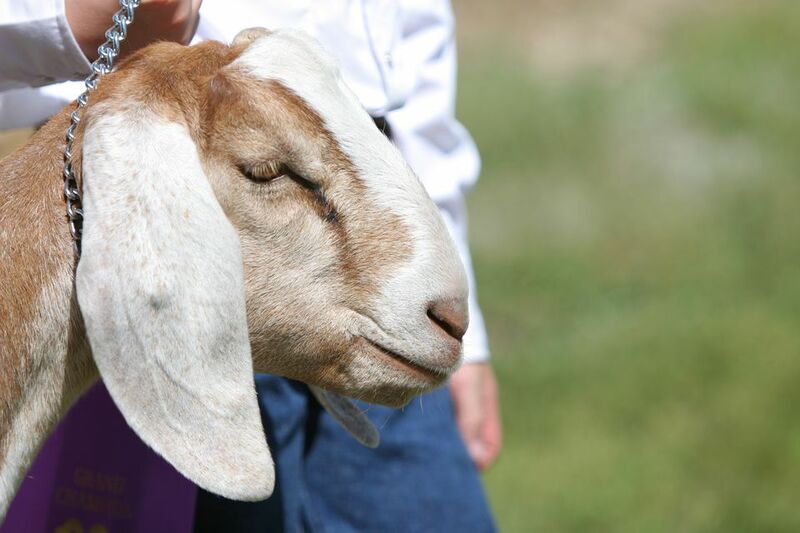 If you're going to show and/or breed goats, you'll want to get registered animals, which are required to be identified with a tattoo or microchip and which has a breeding history. If you're raising goats for meat or milk or just to help on the homestead, you don't need to get registered goats. Be sure to choose a reputable breeder. Ask around locally to ensure your breeder's reputation, and ask to look at both the breeder's animals and their records. A good breeder has healthy, sound animals and their records will show how well their herd performs. Avoid the sale barns, as oftentimes people dispose of their cull goats here. Shop around and compare how goats are managed at the farms you visit. Start slow, but plan to buy more than one goat because they are social animals. Ask questions: why is the goat for sale? How old is it? If a dog, has she kidded before? What were the results? Is the goat registered and if so, what are the bloodlines? Is there a history of diseases in the herd? Any disease history in this particular goat? Is the herd CAE-free? Is the herd CL-free? And observe and examine your potential goat. Your goat should have a solid walk with no limp. Her hooves should be healthy and not smell bad (could indicate hoof rot). Her eyes should be alert, bright, and clear, and when you gently pull down her lower eyelid, it should look pink or red. Her coat should be healthy and smooth, not rough or dull. Her teeth should be sound with a solid bite. On mature does, her udders should be smooth and well-formed. Here are some signs of ill health in a goat to be aware of: thin body, big knees, abscesses, rough coat, limp or unusual gait. When you first bring your goats home, make sure to keep them separate from the existing herd for at least a month, so that you're sure they aren't going to bring any parasites or diseases into the rest of your herd.